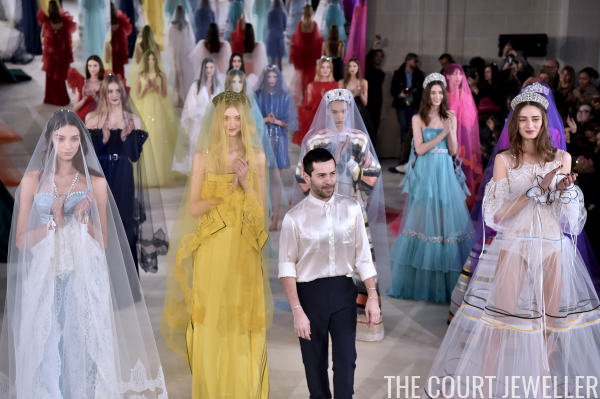 Designers are showing off haute couture creations in Paris this week, and on one runway, replicas of royal tiaras were included in the show. 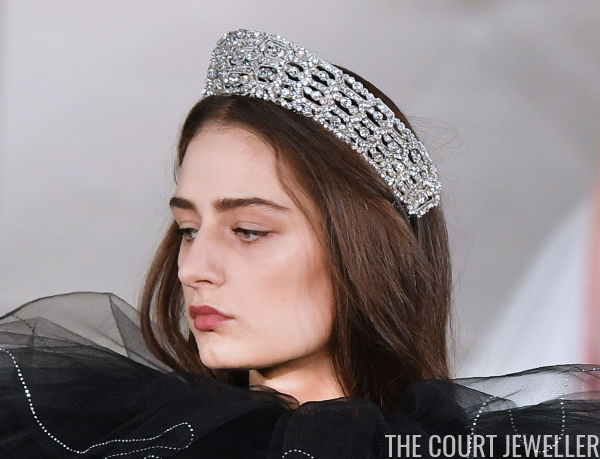 Here's a look at some of the replica tiaras used by Alexis Mabille in his 2017 Spring/Summer collection. 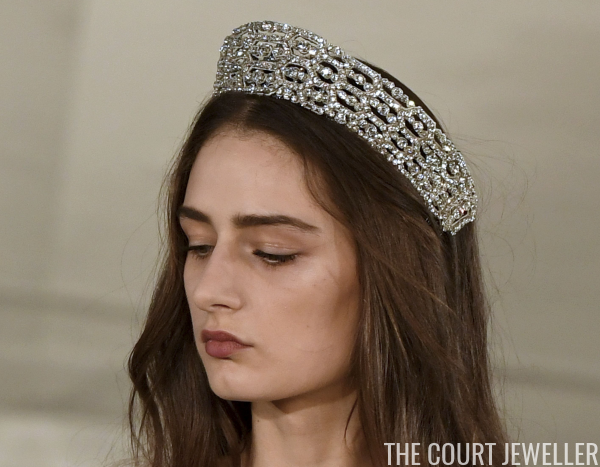 One of the most instantly recognizable replicas: this version of the Greville Tiara. It's based on the original, kokoshnik-shaped version of the tiara. (It was later altered by the Queen Mother.) 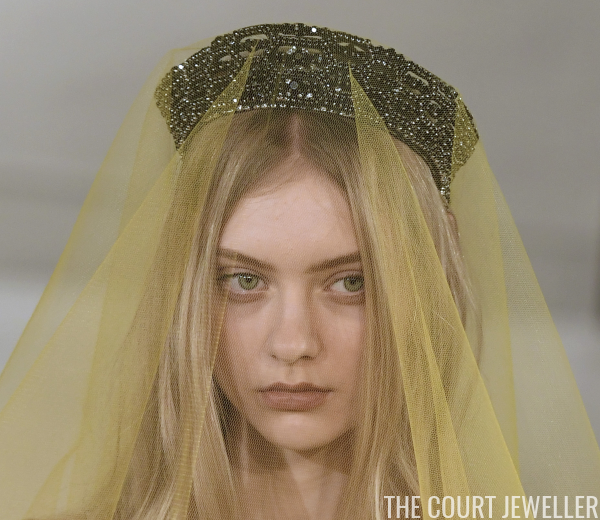 This piece echoes the famous honeycomb construction of the Greville Tiara. The collection also featured a version of the Greville made in darker stones. Another royal replica included: Queen Mary's Honeysuckle Tiara! The piece includes the central honeysuckle and scroll motifs. 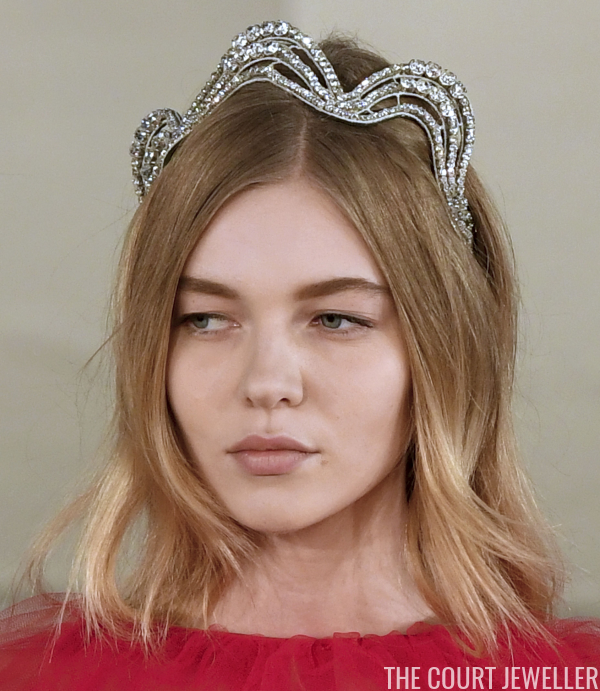 The collection also replicated famous tiaras by Cartier. 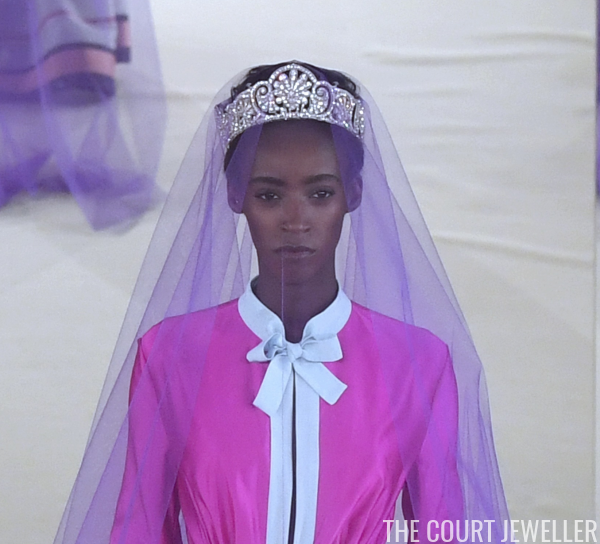 This tiara is based on a belle epoque garland tiara by the jewelry firm. The original piece was made around 1909. 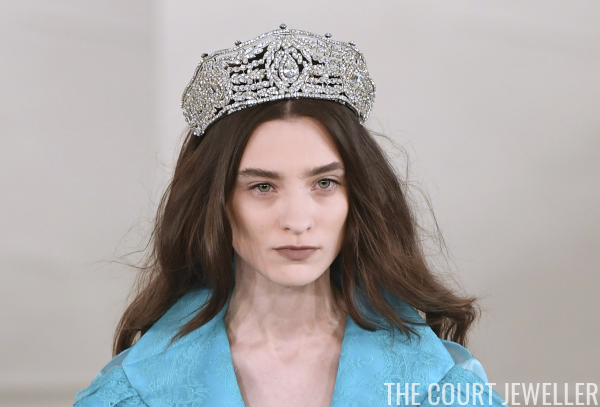 Here's a look at the original tiara that Alexis Mabille replicated. 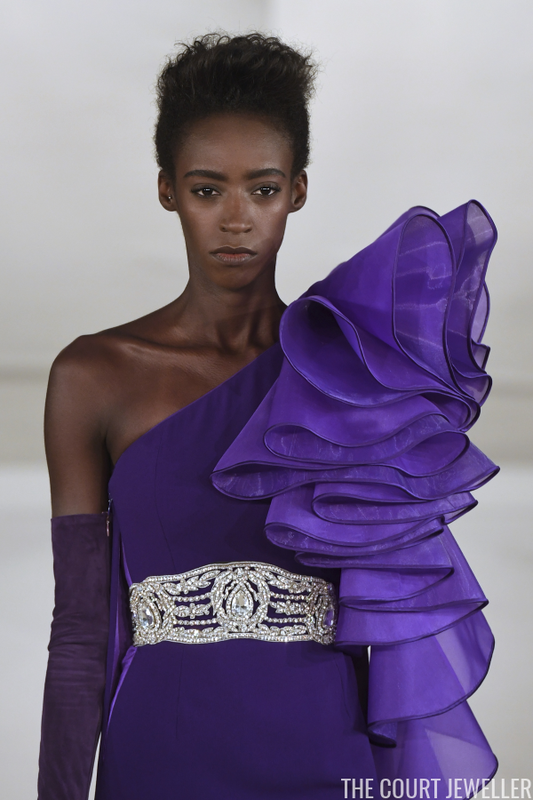 The collection also included a belt that echoes the shape and design of the garland tiara. This headpiece is a replica of a Cartier ornament made at the turn of the twentieth century for an American heiress, Lila Vanderbilt Sloane. It echoes that piece's distinctive wave design. Here's a look at the original Cartier design. 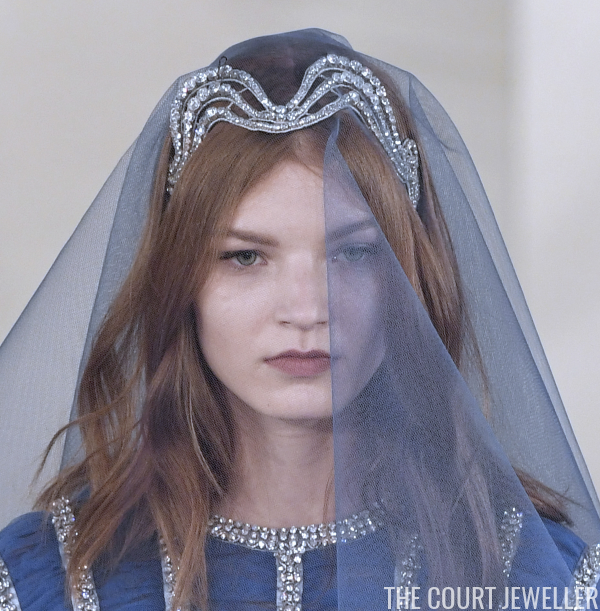 And here's one more tiara based on the wave tiara from Cartier. Thank you so much to one of my lovely Twitter followers, sheikhofchic, for altering me to the collection! If you aren't already following me on Twitter, there's lots of extra bejeweled goodness there every day!